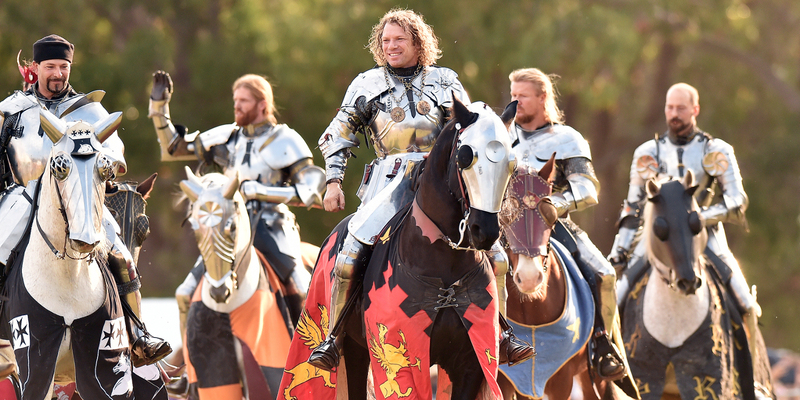 The best medieval entertainment Australia has to offer. 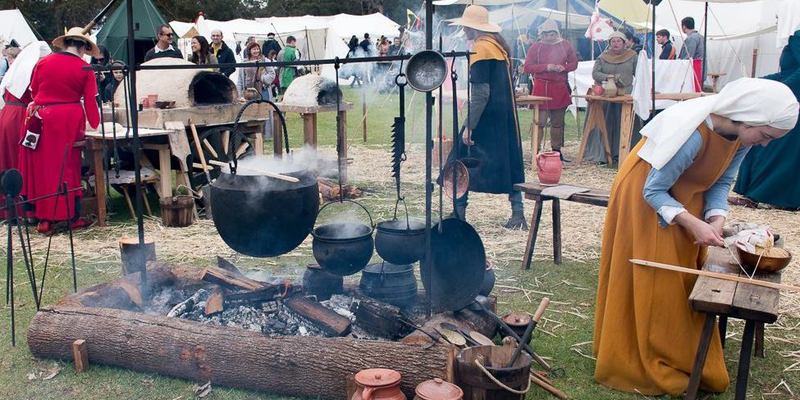 See the Viking battle, crusader tournament and knightly deed of arms wow the crowds with displays of courage and valour. 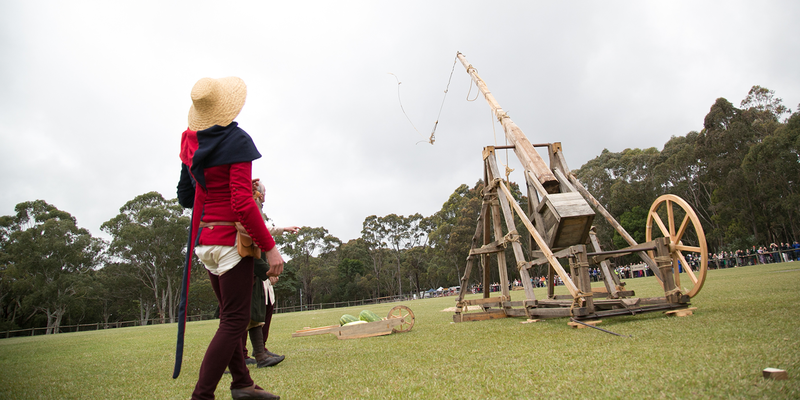 The mighty trebuchet catapult flings watermelons across a field to explode on impact. Full Flight Birds of Prey Centre demonstrate hawking with their trained birds while the whistle of warbow arrows and the fire and smoke of muskets and cannon fill the air. 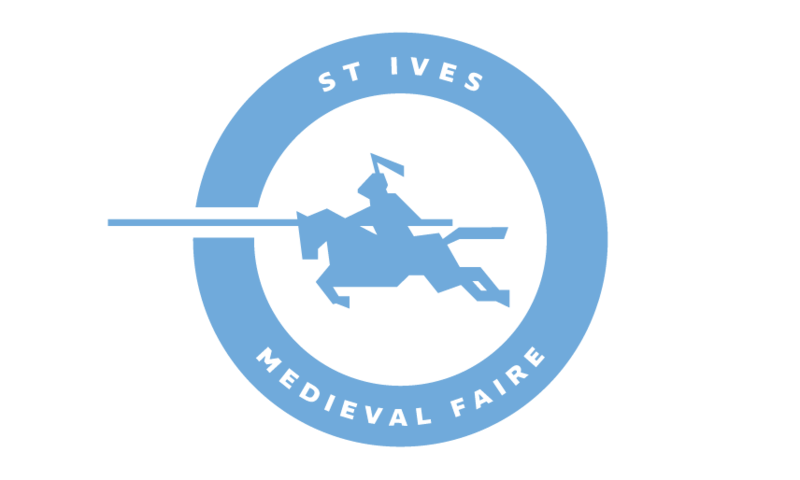 The St Ives Jousting Tournament featuring the inaugural World Jousting Championship will take place twice daily on both Saturday and Sunday, with the coveted St Ives Medallion and the Sword of Valour for the world champion awarded to the tournament victor on Sunday afternoon. 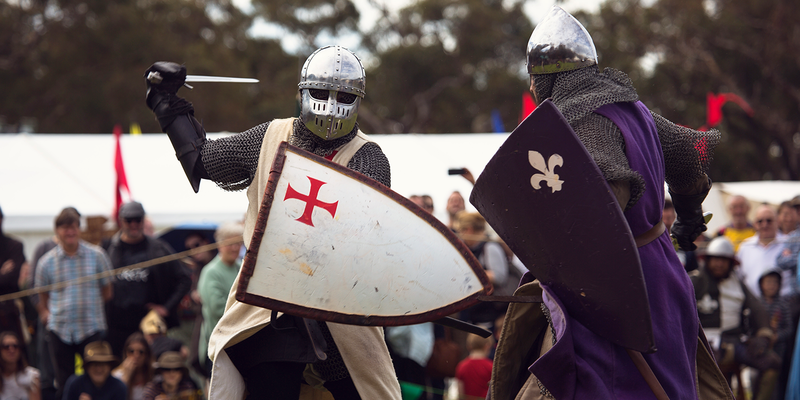 Over two days, the Jousting Tournament will see jousters from across the globe attempt to claim the glory of the St Ives medallion. The Medieval Villages are a stroll through the centuries, from the mysterious Dark Ages to the enlightenment of the High Middle Ages. Each village has been faithfully reconstructed from historical manuscripts, illustrations and paintings to create a fun, authentic and immersive experience for you. 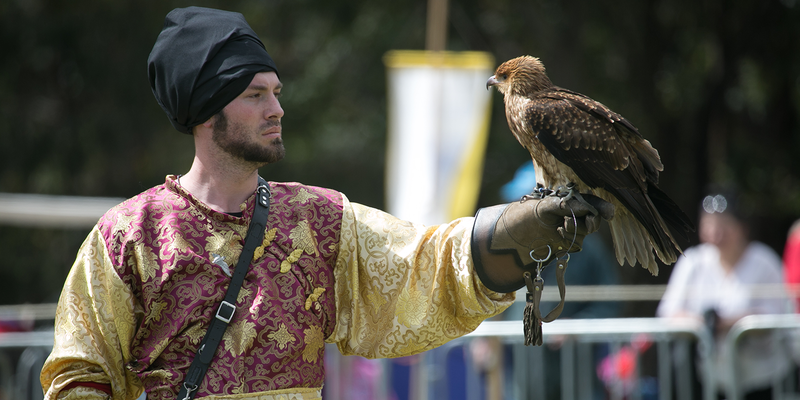 Full Flight will offer demonstrations throughout the both days of the Faire. This interactive show will include many different birds of prey, from owls to eagles, and a recreation of a 15th Century mounted hunt, where birds will be flown from horseback to catch a very 21st Century prey – a robot rabbit. Whether you’re a knight, a queen or a peasant, all are equal when it comes to thirst. Luckily, The Tilt and Counter Tavern accepts all kinds – as long as your coin is good. Archery groups will be running throughout the two days of the Faire. 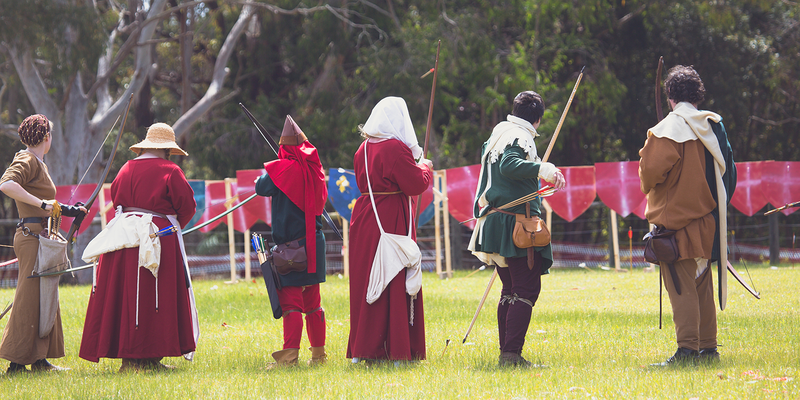 Watch experienced marksmen demonstrate their skill, then try your hand at shooting a longbow in a traditional archery range operated by the Medieval Archery Society. In olden times the Trebuchet – a type of giant catapult – could fling huge chunks of masonry hundreds of feet and crush the defences and spirits of even the most fearsome foe. The Juvenis of Accendo Sarcolagos re-enactment group invite you to witness this violently simple war machine at work, offering demonstrations and explanations throughout the two days of the Faire. We are amidst the melee of the the Demetria Fair in Thessalonica. 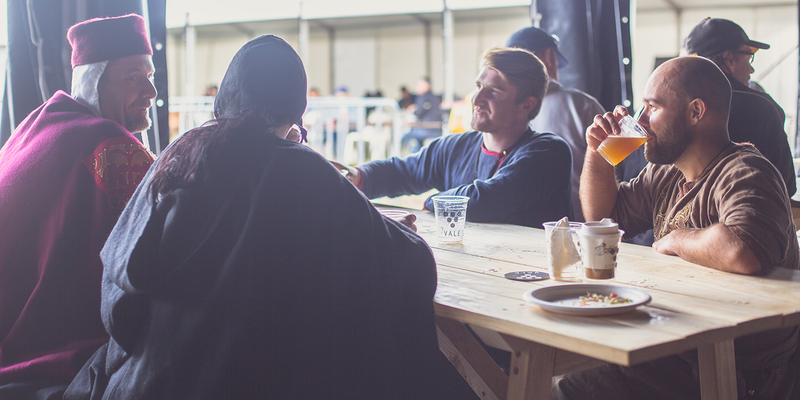 Merchants, local and foreign, have flocked here to trade materials, share industry secrets, and build fortunes. It is a 12th Century economic and cultural hotpot. 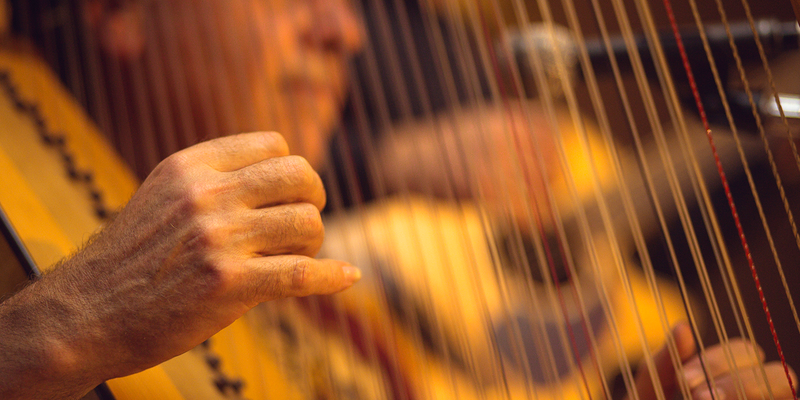 Tensions are high, and the promise of money is not always enough to keep swords sheathed. To celebrate his impending ascension, and new peace with the Saracens in the Holy Land, in 1229 the heir to the Holy Roman Empire and the Kingdom of Jerusalem has invited the Christian knights of the Holy Lands to a Round Table and foot joust. 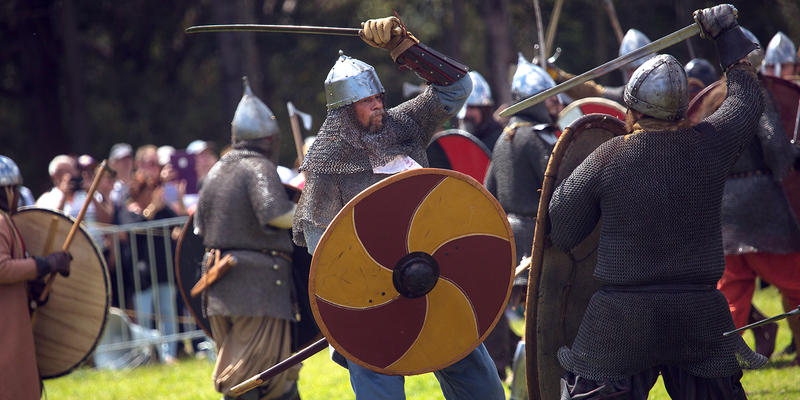 A chorus of sliding armour plates cuts through the bellows of warriors swinging axe and sword. Their strikes bounce from shields emblazoned with the colours and patterns of their coats of arms. 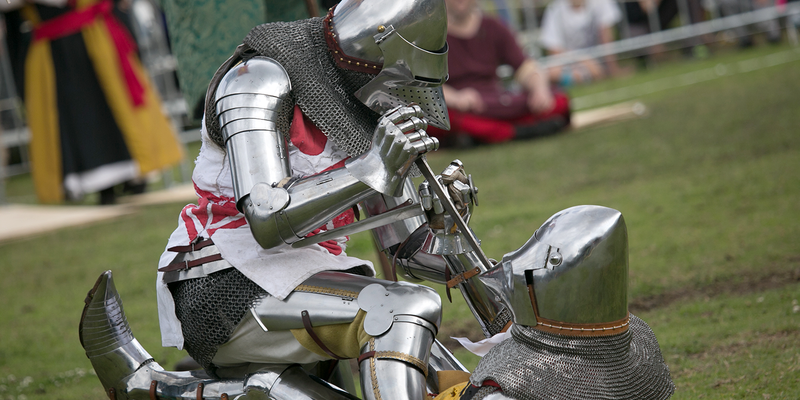 At the St Ives Medieval Faire, Knights will meet on the battleground in a display of skill and might in this fourteenth-century-style foot tournament.